Credit Memo Invoices are created in Acctivate during the Credit Memo process. That invoice is then synchronized to QuickBooks. In QuickBooks, you can then select to apply a credit to another invoice or to use the credit to give a refund to the customer. 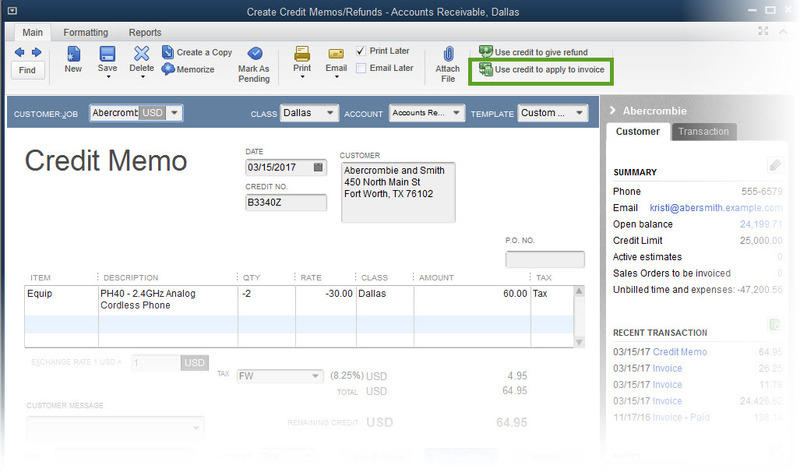 If you choose to apply a credit to another invoice then you’ll select that option from the Credit Memo in QuickBooks. QuickBooks will then provide a list of Invoices for you to apply the Credit to. 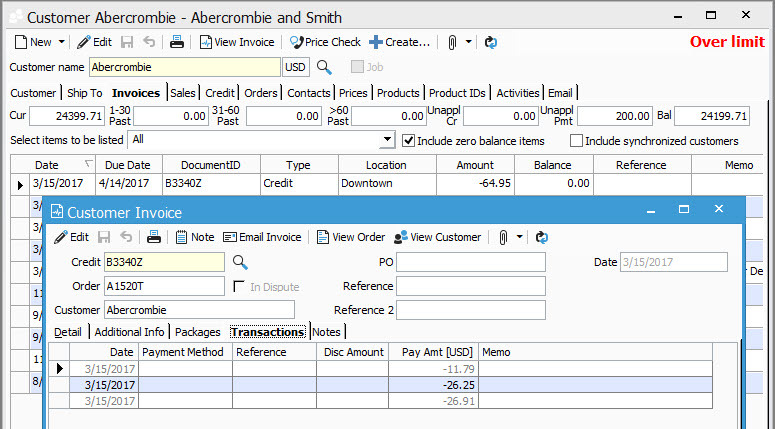 Simply select the invoices you would like to use then run a sync to review the Credit Memo in Acctivate. You’ll see that the balance for the Credit Memo is now zero in both Acctivate and QuickBooks. 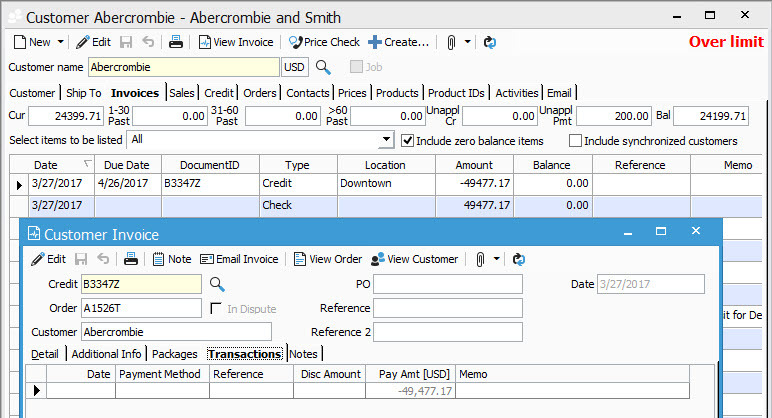 On the Transactions tab of the Credit Memo Invoice in Acctivate, you’ll see the balances that the credit was applied to. If you choose to use the Credit to give a refund to the customer then QuickBooks will show the Issue a Refund screen. This is where you can select how the credit will be given to the customer. You can select to use any payment method you’d like from the “Issue this refund via” list given. Once you enter that information and the Refund has been issued, you can run a sync with Acctivate and see the Credit on the customer record as applied to the Credit Memo. For more articles on Credit Memo Transactions, go to this article.